Today, Miley Cyrus celebrates the release of her new album, Younger Now. Subscribers of Apple Music and Spotify can stream the LP in full below. 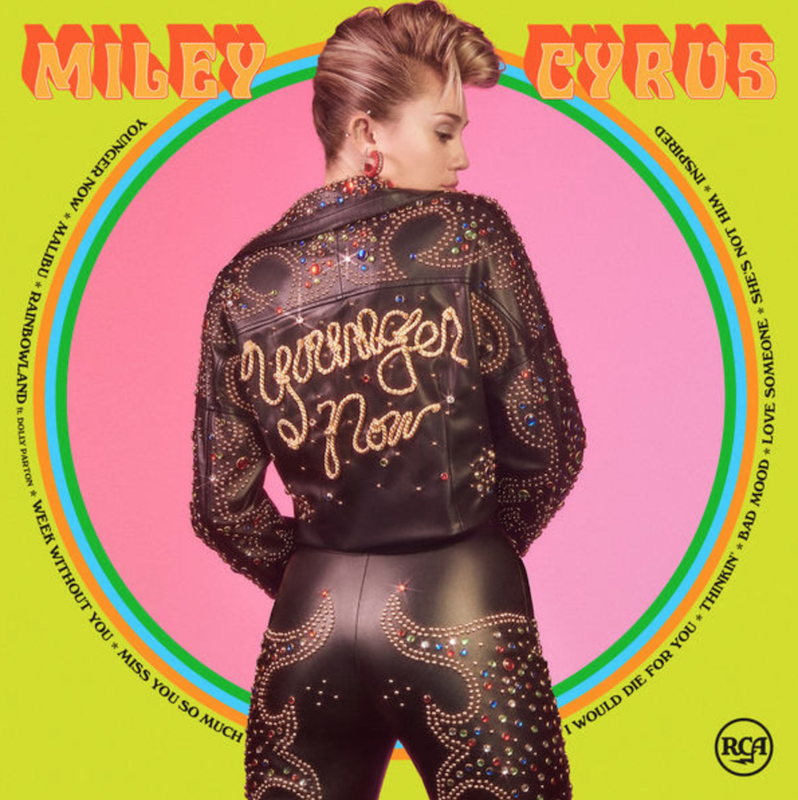 Younger Now, which marks a return to Cyrus’ more rootsy origins, serves as her sixth full-length to date and follows 2015’s Miley Cyrus & Her Dead Petz and 2013’s Bangerz. Written and co-produced alongside past collaborator Oren Yoel, the 11-track effort includes early offerings “Malibu”, “Week Without You”, the title track, and “Inspired”. Country legend and Cyrus’ godmother Dolly Parton guests on a track called “Rainbowland”.